CARMIM - Cooperativa Agrícola de Reguengos de Monsaraz - was created in 1971 by a group of 60 wine-growers aiming to produce and sell wine from the grapes of a group of wine-growers from the region. 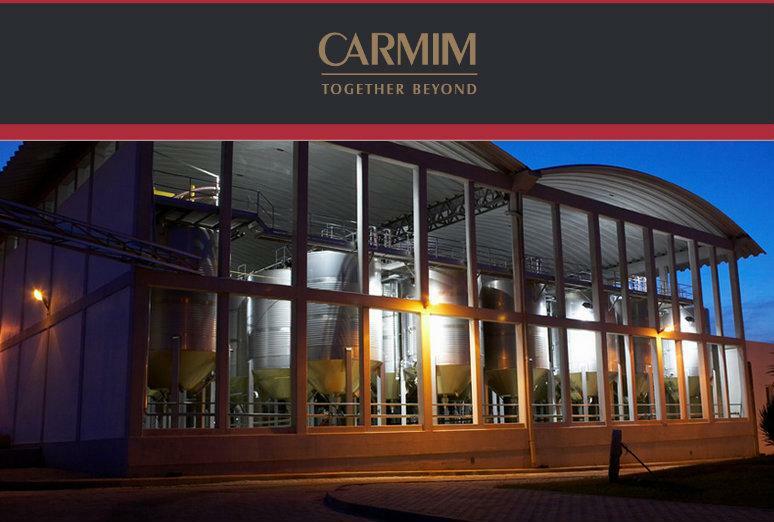 CARMIM has currently about 900 members (smaller wineries) and produces 74 wines from whites to reds, young and reserve, liqueur, rosé and sparkling wines. Their wines have been given more than 600 awards in various national and international competitions. Among CARMIM's wine brands are Monsaraz Premium, Espumante Monsaraz, Garrafeira dos Sócios, Bom Juiz, Régia Colheita, Monsaraz Millennium, Monsaraz, Reguengos, Terras d'el Rei and Olaria. There are also the single variety Monsaraz wines – Gouveio, Touriga Nacional, Alicante Bouschet, Cabernet Sauvignon and Syrah – as well as the Marc Brandy Terras d'el Rei, the Reguengos Licoroso, the Marc Brandy Vínica Velha and CARMIM's forty anniversary edition Vinho Licoroso (Liqueur Wine). In addition, CARMIM also produces quality olive oil on the Terras d'el Rei and Monsaraz ranges. Since 2011, CARMIM develops an innovative social responsibility project, whose goal has been to help people without financial resources to solve issues in the areas of health, employment, education or talent achievement. The most visible side of this platform is the wine Monsaraz Millennium, which is a wine of causes, with the slogan "Let's help people", which acts in that context as a flagship of the entire project. The first initiative within the framework of the project was the delivery of an electric wheelchair, to meet the needs of a young man who suffers from a genetic disease called Microcephaly, which affects the motor skills (lower and upper limbs), causing mobility loss. The following initiatives were aimed at helping two children with health support needs. The donations were delivered to the LusoTerapias Clinic and to the Rehabilitation Gym Terapikuba, so that both children can continue to enjoy health treatments and physiotherapy, enabling them to improve their quality of life. The cooperative of Reguengos is now a major force in the region. This wine, named after the hilltop town of Reguengos, is a powerful, condensed wine. It has dark black fruits, solid tannins and a smooth texture.